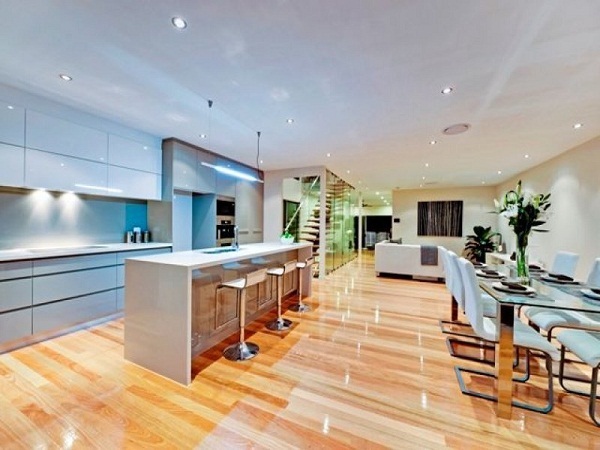 Wood Floor Solutions (Aust) are the largest specialist supplier of Australian hardwood flooring in Brisbane. They supply timber flooring from the traditional solid T&G hardwood timber floor to the engineered pre-finished timber floor and any timber flooring product in between. Rather than supply a vast array of building materials their focus enables them to source and supply all types of timber flooring at the best prices possible, whether you are a home owner looking for a timber floor at the right price through to the largest builder or construction company they either stock or can source the right product for your job at the right price. An Australian owned and operated business with people who have had many years experience in the manufacture, sourcing and supplying of timber flooring, their friendly staff are happy to share their wealth of knowledge to help you achieve the desired outcome for any timber flooring needs. While specialising in the supply of timber flooring products, they can and often do arrange installation, they supply of all types of timber flooring and decking and associated flooring products to both trade and retail customers to all areas of Australia.